This fully equipped, private, two-bedroom/two-bathroom condo, located in Pinoteau Village, Mt Tremblant Quebec 4-star resort, comfortably accommodates six people, with provision for a seventh if necessary. The condo, which is discounted by as much as 25% over identical units, is in a prime location at Pinoteau Village, with a spectacular panoramic view of the pool, lake and mountain. There is direct access to a large private beach with free boating, private outdoor pool, free tennis, etc. The condo is just a short walk or one minute drive) from the main Mt Tremblant downhill ski center and all season pedestrian recreation village with a return shuttle service available. Year round festivals (including blues fest, shops boutiques, restaurants and bars. The condo is in the heart of the groomed Tremblant cross country ski / bicycle/hiking trail network and the region's best known golf course (Le Geant) is a 2 minute walk away. The two-bedroom condo comes fully equipped with spacious living room and kitchen, as well as two bathrooms and showers, (including a whirlpool tub). The living/dining room has a log fireplace, and includes a hideaway sofa bed, cable TV, VCR/DVD and CD/tape/radio. Free hi speed wireless internet access is available from the condo. During summer, enjoy meals on the balcony overlooking the swimming pool, lake, and mountain or watch the skiers on the mountain in winter from the living room. And don't forget the fall rhapsody of colours. The balcony is accessible from both the living room and master bedroom via their own patio doors. The discounted rates for this condo are just a fraction of those for identical condos rented directly from Pinoteau Village or its agents, including the Tremblant Reservations central agency. Available throughout the year for two days, five days, or weekly, savings are typically 25% or more. The kitchen is fully equipped, including full-size refrigerator, stove, washer, dryer, microwave, dishwasher, utensils, coffee maker, and toaster. The master bedroom has a queen-sized bed and the second bedroom has two twin beds. In addition to the sofa bed in the living room, a portable folding bed/cot is also provided if required. The second bedroom overlooks the trees and hills at the rear of the resort. Bedding, linens and towels are supplied and additional cleaning service can be arranged. Initial cleaning is of course included. All the additional facilities offered by the Pinoteau resort are included free with the condo. In season, the large outdoor heated pool and lake front beach are each private for guests of the resort, both supervised by qualified lifeguards. Included free at the resort’s marina are assorted watercrafts (kayaks, canoes, sailboats, etc. ), as well as tennis, gas barbecues, games, and exercise rooms. Winter cross-country ski trails, running right outside the condo, become biking and hiking trails in the other seasons. The Le Geant main Tremblant golf course also adjoins Pinoteau Village resort and is just a two-minute walk away. An indoor leisure pool and sports facility is also only minutes away at the pedestrian village. The Mt Tremblant area offers a great range of four-season recreation including, during the winter first class downhill skiing at several locations, cross-country skiing, trails, outdoor skating rink, tubing, all year Nordic spas and in-line skating, etc. In the summer, spring, and fall there are eight golf courses to choose from, boating, lake cruising, sightseeing flights, horseback riding, swimming, fishing, mountain and trail biking, and much more. The European-style pedestrian village, just half a kilometre from the condo and tastefully accommodated with shops, boutiques, bars, restaurants, après ski, etc. Fully equipped. Easy access to main Tremblant ski hill (winter) Right on supervised beach and overlooks pool (summer) Adjoins Le Geant designer golf course. \on site tennis courts. Single Jacuzzi tub in condo. Spectacular view with balcony furniture. Fully equipped; spectacular view from living room, master bedroom and balcony; Private parking; private resort beach; large pool (summer). Adjoins Le Geant Golf course and driving range Helpful bi-lingual staff on site. Adjacent Cross country ski and bike trails On site storage for skis and bikes. Near old Tremblant village, down town MtTremblant or St Jovite (7 miles). Bathroom 1 adjoins the master bedroom. Bathroom 2 is accessible from condo living area and 2nd bedroom and has its own cable TV and DVD. 1000 ft privatesupervised beach with loungers on Lac Tremblant. Marina and free boating in beach Also overlooks pool with umbrellas and loungers. Condo looks directly onto Lac Tremblant with a spectacular view from the balcony with out door furniture. Direct view of Lake Tremblant and marina from balcony and master bedroom with mountain in background. Balcony furniture and table is included on balcony. Condo looks directly onto Lac Tremblant with a spectacular view of the lake and mountain from the balcony equipped with out door furniture. Condo looks directly onto Lac Tremblant with a spectacular view of lake and mountain from the balcony with out door furniture. 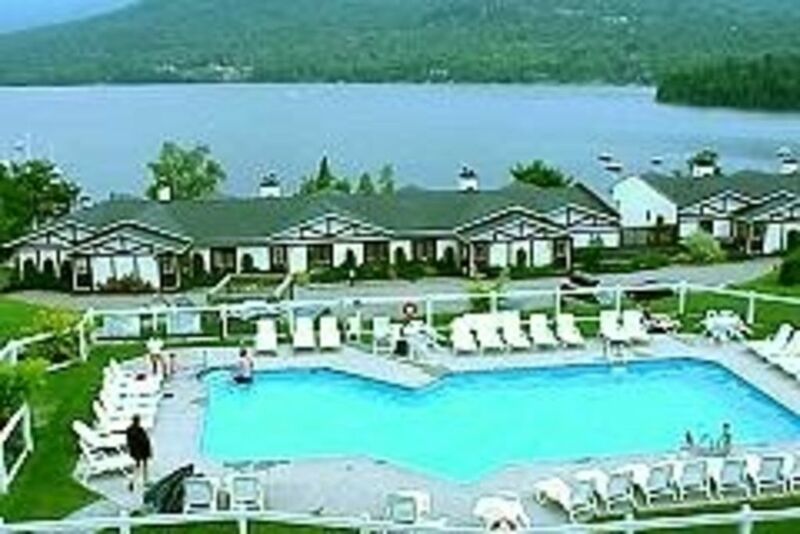 Pinoteau Village resort is directly on Lac Tremblant with a spectacular view from the condo balcony. Free hi speed wireless internet access is available via the resort wireless network from the condo. We have stayed in Pinoteau Village before and loved the location for skiing at Mt Tremblant. We wanted a 2 or 3 bedroom condo that was reasonably priced, and could sleep up to 7 if all our kids were able to make it. Julian has this 2 bedroom set up beautifully for what we needed. It was nicely appointed with a wood burning fireplace, TV, WI-FI, DVD/VCR player and serviceable kitchen. The shower is great, with excellent hot water. The view is beautiful. The beds and linens are not new and state of the art, but were plenty good for what we needed. We were very happy and would recommend it highly. Also, the keypad entry lock was a great improvement over needing multiple keys (if I understand correctly, the number is changed for each rental period). Pinoteau Vilage 4 star resort complex at Mt Tremblant is central to the regions tourist and rereational activities that include skiing, golfing, swimming, hiking, mountain biking, roller blading, tubing, para gliding, aeroplane scenic rides, equestrian events and horse back riding, restaurants, boutiques, bars, nordic spa, indoor pool and leisure center, boutiques, festivals, fall foliage, art galleries. music and a lot more.The St Bernard ski center mountain pedestrian village has a distinctive European air with year round festivals and concerts and the scenic drive to the nearby charming town of St Jovite has still more shopping, restaurants and facilities. Golf: Golfing is central to the condo location with the areas finest golfing facility Le Geant adjoining the resort. Several other golf courses are also within easy reach. Ski: Skiing from the main Tremblant south side St Bernard pedestrian village is just a minute away. Paid or free parking is available at the hill (by following the signs). A free continuous frequent shuttle then runs from the parking lot to the chair lifts. A regular shuttle inexpensive service from the resort is also available.